We design and produce filters showing different characteristics, in order to meet the various needs of our customers. This approach has been a winning choice from a marketing viewpoint. We have tests carried out by the most important scientific laboratories in the world, CAMR (U.K.) and NELSON Laboratories (U.S.A.) and results obtained confirmed the excellent level and validity of our research and therefore the better quality provided by MADA filters worldwide. The raw material used for our products come from German, English and Italian companies, and our filters are manufactured exclusively in Italy. Such a high quality is matched with an extremely competitive price. 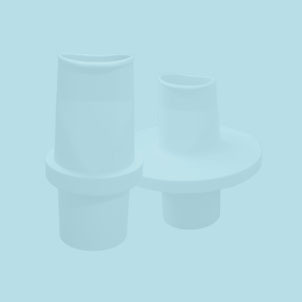 Today we can claim to be the Italian leading company in the industry of Spirometry Filters.